Creative Coffee Color Palettes • IX Publishing, Inc.
Today we begin exploring various color palettes generated from photographs at the Queen Bean Coffee House in Modesto, California. 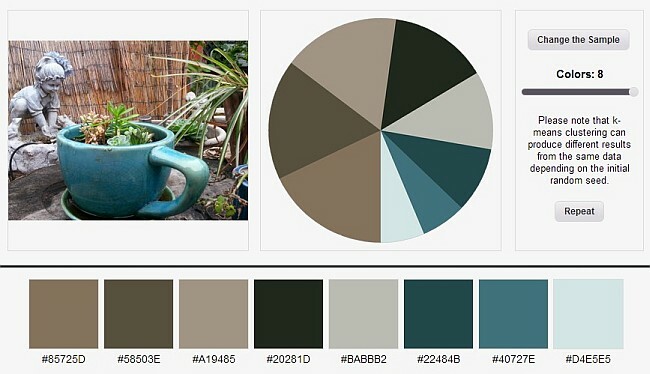 We want to create authentic color palettes for a variety of new website design projects. 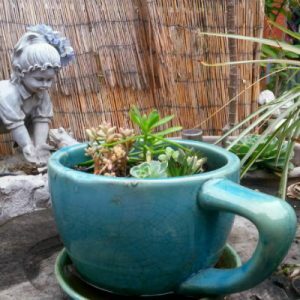 Perhaps it will inspire a new series of coffee house WordPress themes, so we need colors that ooze the hues of coffee. As 2014 began, we set new goals at IX Publishing. We wanted our web design projects to be authentic, creative, and generous — and produce better results for our clients. So we began to explore new ideas for creative generosity; writing about things we learn each week — and sharing the best stuff we discover. We’re creating color palettes that are authentic and natural, and we’re growing our web design and inbound marketing business organically by creating and sharing great content. In Mother Goose’s Guide to Beautiful Color Palettes for Web Design, we talked about some of our favorite tools and techniques for discovering and creating new color palettes. 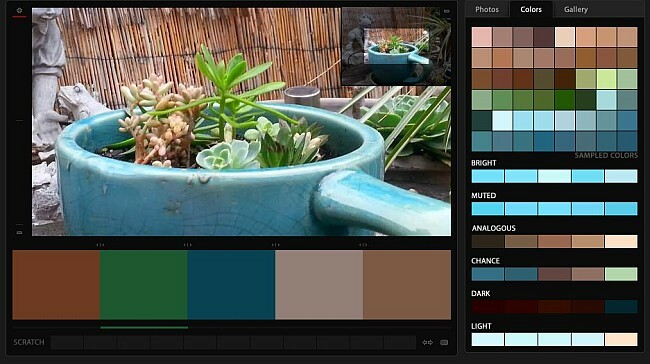 What tools will help you discover interesting new color palettes? This morning we used 3 free online tools to create new color palettes and explore various color combinations. Each of these free tools will create various color palettes from the photographs that you provide. ONE – The first example was created using the PhotoCopa tool. You might have seen the 9 Beautiful Color Palettes we shared after a recent trip to Florida. Those color palettes were also created using the PhotoCopa tool. TWO – The example (below) was created using the Palette Generator. The Palette Generator allows you to upload a photo, select the area you want to focus on, and then provides you up to 8 colors — with hex code colors clearly labeled. Another nice feature is providing a pie chart – showing approximate amounts of each color used. THREE – Our final example (below) was generated using the ColorExplorer. After you upload a photo, the Color Explorer will allow you to specify how many colors to output, and provides a color palette with RGB, and Hex-code colors clearly labeled. After working with these three tools this morning, I think PhotoCopa is still my favorite because of it’s flexibility and variety of color options. What color palette will you use for your next web design project?